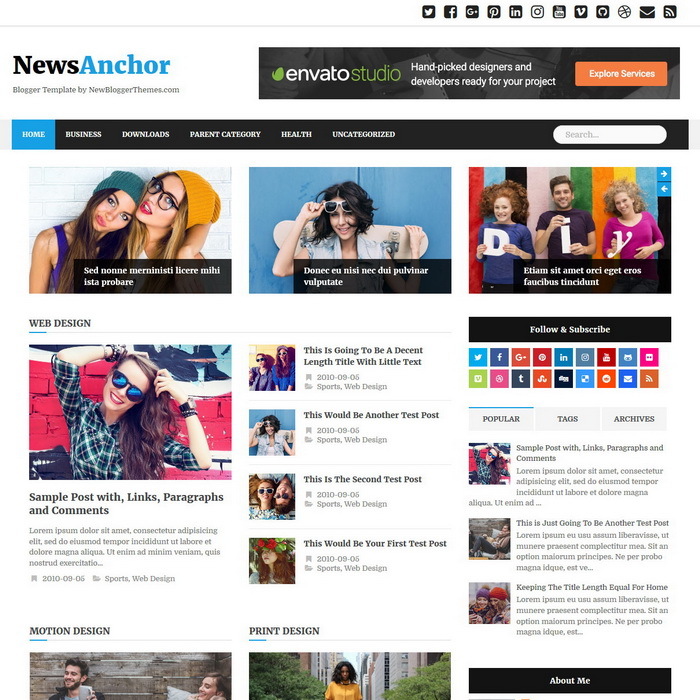 If you are looking for a magazine blogger template, NewsAnchor Blogger Template will be one of the best option for your website/blog. 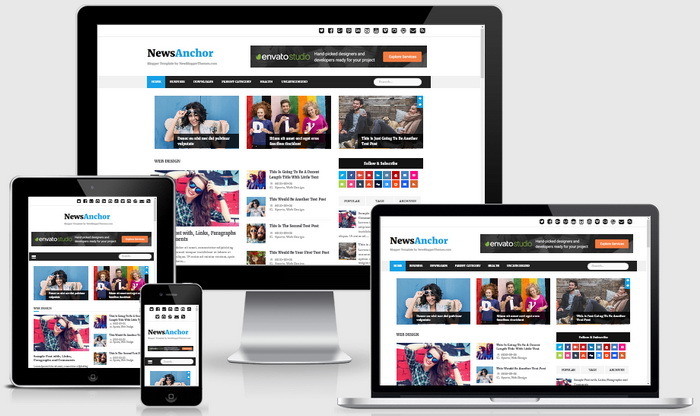 It is very user friendly, 100% responsive, search engine optimized blogger theme for online news sites. This Blogger theme has Template Designer options to change colors, fonts and background image quickly. Also NewsAnchor Blogger Template has featured posts sliders, featured posts areas, custom post summaries, related posts with thumbnails, social buttons and social profile widget, post sharing buttons, multi-level navigation menu, right sidebar, 3 columns footer widgets area, scroll to top button and more. It is a fully responsive blogger theme that allows for easy viewing on any device from phone to desktop. This is Good Responsive Theme for Blogspot.